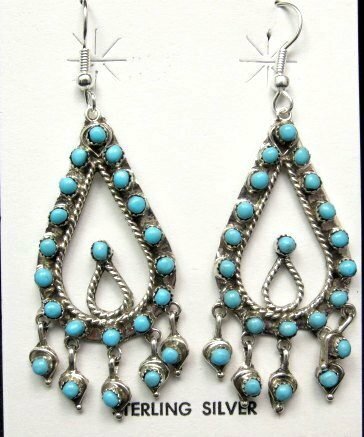 These fabulous Native American - Zuni - turquoise & silver earrings feature 23 genuine snake-eye turquoise stones. Set with Sleeping Beauty turquoise. 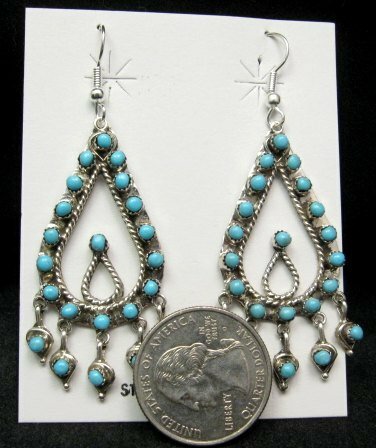 The earrings measures 2-1/8 inch long not counting the ear-wires and weigh about 4.4 grams each. Brand new and in perfect condition. Gift box and Certificate of Authenticity included with your purchase.